There is a great truth in the saying, "ALL WORK AND NO PLAY MAKES JACK A DULL BOY". Games are necessary for health and proper development of the body. The ideal of a good and perfect life is to have a sound mind in a sound body. This is recognized by us as the best means of performing our duties. Body and mind should work at their best, and they cannot do so unless both are in good order. The limbs must be- supple, active and obedient to the will. The best way to keep the limbs fit is to exercise them in sports and games of physical skill and strength. 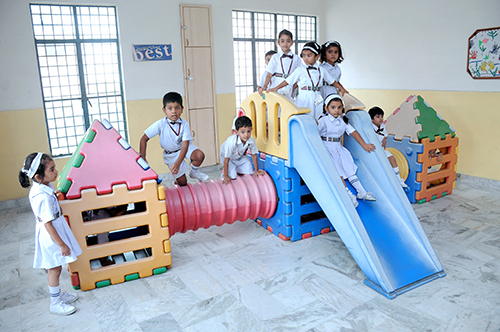 We provide both, Indoor and Outdoor games to our students. 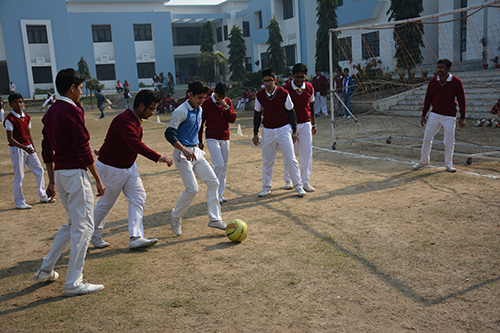 Games periods are allotted to all the classes right from class I to XII. Expert games teachers and coaches are engaged to train the girls and boys in the best possible way in various games and sports. Many of our students have won or participated at state and national level.